Posted December 10, 2012 by Heather Michet & filed under Health Tips. Fresh Air FareTM is an effective immune helper in addition to its many other benefits for healthy travel and allergy symptom relief. 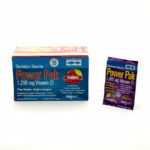 Electrolyte Stamina Paks are convenient, easy to use and inexpensive. Custom aromatherapy blends target your unique system and healing needs. Reiki and Reiki-romaTM treatments provide deep relaxation so the nervous system can calm down and do its job. Call me to order any of these products or to schedule a Reiki or Reiki-romaTM session. Iris Healing Arts is here to support your vibrant health, help and happiness! I am really enjoying your Healthy Holiday tips. They have been great and such a good reminder to take care of ourselves. They are good reminders for any time of the year. I’m so glad you find them useful. And thank you for commenting, Noryne!